This lovely woodpecker takes its name from a small reddish or pinkish area on the belly, which it usually keeps hidden against a tree trunk. It’s slowly spreading north. 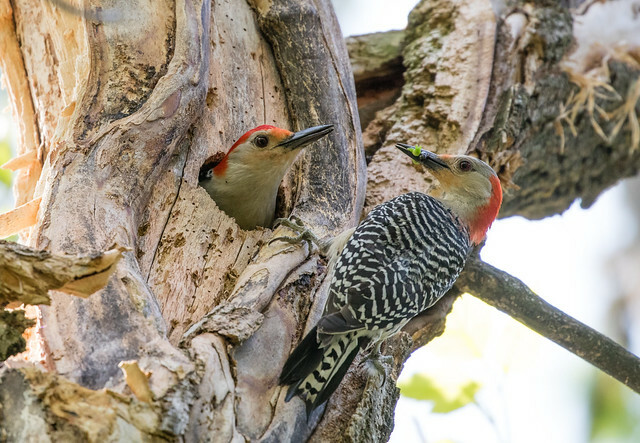 Laura got a huge number of photos in 2016 when a pair nested in her yard.